Cristiano Ronaldo birthday is today. The portuguese turns 26 and for the first time, celebrates this day with his beloved son, Cristiano Ronaldo Junior. As most fans already know, Cristiano Ronaldo birthday is on the 5th of February. The portuguese player turns 26 and celebrates his 2nd anniversary, since he joined Real Madrid. Although Cristiano Ronaldo family is mourning the recent death of his uncle, this anniversay is still going to be celebrated in a special way, since it's the first time the portuguese player will blow out the candles of his anniversary cake, side by side with his son, Cristiano Ronaldo "Junior", who is only 7months old. The big party will take place this Sunday, after the game against Real Sociedad. Cristiano Ronaldo family got a flight to Madrid this Monday and is preparing a few surprises for the 26th birthday of the Real Madrid superstar. Loyal to family traditions traditions, mother Dolores will cook and bake her son's favorite cookies: "cookie cake", "custard pudding" and "passion fruit". The secret ingredient will be flour, brought directly from Madeira, CR7's birthplace. The portuguese player anniversay day, will be spent in a Madrid's hotel, where Real Madrid team will wait for the game against Real Sociedad, scheduled for 19:00 local time, in Santiago Bernabéu. Winning that game will certainly be one of the best gifts Ronaldo can get, in order for Real Madrid not allow Barcelona to slip away even further. The gap is currently 7 points. After the game, Cristiano Ronaldo will join his family, in his luxury house in "La Finca", near the center of Madrid. It's the first birthday celebrated with his son, Cristiano Ronaldo Jr., so it will be a very special day. It is likely that Irina Shayk, Cristiano Ronaldo's girlfriend since several months, could meet the player there. However, several sources who are close to the player, didn't confirm the presence of the russian supermodel. The couple spent this last Christmas on a private island, in the Maldives, on a great romantic atmosphere. This anniversary is being seen as a way to ease the pain of Cristiano Ronaldo family. In the past weekend, José dos Santos, uncle of Cristiano Ronaldo, died because of a cancer in the intestines, after struggling and fighting with it for several years. 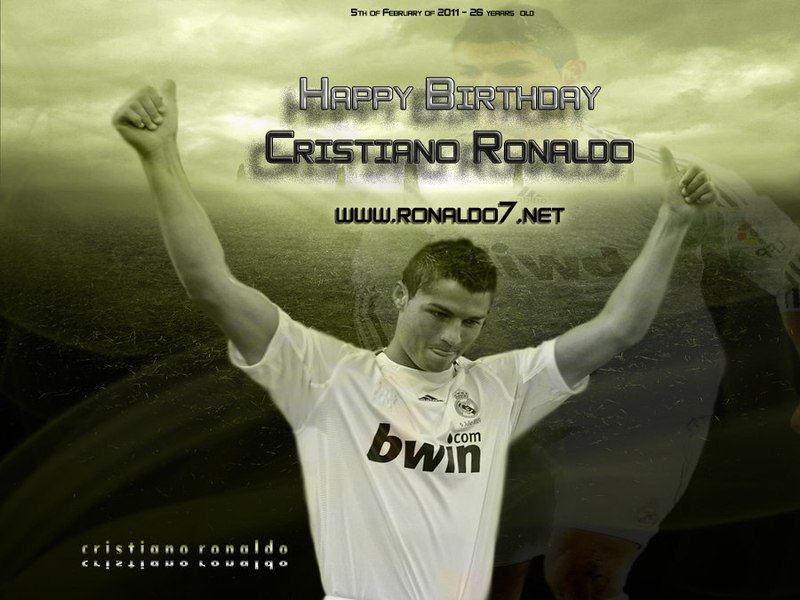 Ronaldo7.net and all our fan base present our condolences and wish Cristiano Ronaldo a happy birthday! Feel free to leave your birthday message below the video.